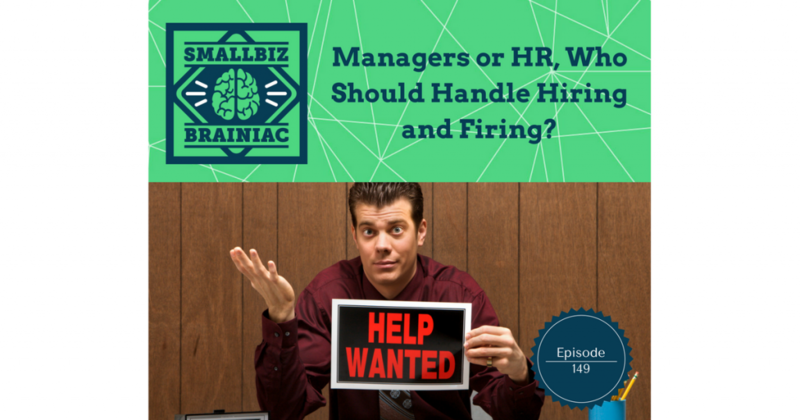 Empower your Managers to make their own hiring and firing decisions. Who in your organization should be responsible for recruiting, interviewing and hiring candidates? Who should be responsible for carrying out the unenviable task of letting employees go, regardless of whether it is for performance, behavior, or just downsizing? I’m a firm believer in tasking your managers with the responsibilities of hiring and firing their own staff. That being said, it’s important your managers are well trained in this area so you’re not putting the company at risk. When I say have your managers hiring and firing their own staff, that does not mean they shouldn’t keep the HR department informed, or consult with them before making decisions. HR should still be part of any staffing process. Hiring an employee can be a time consuming process. Your managers may not have a lot of extra time to devote to going through all that’s involved. If this is the case, you may want to lean on your HR department for some assistance. If you don’t have an in-house HR team, your managers can do this on their own, it may just take time away from their everyday responsibilities. You could also outsource specific HR tasks to a third party. If you do have an HR department, have your HR team handle the recruitment process for your managers. Nobody knows what a departments needs are better than the manager in charge of that department. At least it should be that way. Have the manager sit down with HR to complete the job description, listing all of the necessary requirements that they are looking for. HR can then take this information, create the job listing and then start the recruitment process. HR should post the available position on any of their preferred job sites, or even post the job internally to give an opportunity for advancement from within the company. They may even want to engage a third party recruiter to start filling the interview pipeline. When a candidate responds to the listing, HR can do a “pre-interview” screening, usually over the phone to filter out any candidates that may not actually meet all of the requirements. Job seekers tend to respond to any opening whether they meet the posted requirements or not, so this phone screening is a good way to filter out the pretenders from the contenders so as to not waste anybody’s time with in person interviews of unqualified candidates. Candidates who pass the phone screening can then be scheduled for an in person interview with the manager. If your manager is well seasoned in the interview process then they could perform the interview on their own. If not, it may be a good idea to have an HR representative attend the interview with the manager to help steer the interview and provide additional support to the manager. After concluding the series of interviews, the manager and HR should discuss each of the candidates and make a decision. You want your managers to be hiring the candidates with the most attractive skill set to perform the job, not the most attractive physical appearance. Hiring decisions should be based on the candidates ability to perform the work. You want to empower them to do what’s best for their department to succeed. Allowing them to make their own staffing decisions shows you have confidence in their abilities. But don’t turn a blind eye. If a department is under performing, then maybe your manager isn’t making the right staffing decisions. Or perhaps you don’t have the right manager. Along the same lines, when it comes time to terminate an employee the manager needs to be able to make these decisions and be involved in this process, but not without consulting HR. You don’t want to create a monster by allowing your manager to become a tyrant. Having a process in place for your managers to discuss their decision to want to terminate an employee is a great practice. This can help your company avoid possible legal troubles down the road. Once a manager has decided that they want to terminate an employee, have them set an appointment to discuss the matter with HR. HR can then identify any possible situations where there may be cause for concern. HR can work with the manager to outline necessary steps to follow in order to complete the termination appropriately so as to minimize any negative repercussions that could arise. HR can also coach the manager on what to say during the termination before hand. This is not a time where the manager can just wash their hands of the situation by deciding they want someone terminated, telling HR about it, then expecting HR to do their dirty work. One of the most difficult tasks of being a manager is having to fire people. I’ve done it many times over. It’s never easy, but if your managers want the good of being a manager, they have to take the bad of being a manager as well. That being said, when terminating someone, it’s always a good idea to have the manager do it with an HR representative present. The HR representative can serve as a witness in the event a terminated employee decides to file a wrongful termination claim. The HR representative can also assist the manager by answering questions that may arise during the termination. A lot of this depends on your companies structure. As I briefly eluded to earlier, you may be a small operation that doesn’t have a formal HR department. If your a small enough business it may just be you that is the CEO, HR and manager all in one. If that’s the case I definitely recommend seeking outside advice from an HR firm when necessary. There are many HR firms out there that can provide a-la-carte consulting services. They can help with your recruiting efforts as well as offer advice on how to appropriately handle a termination. 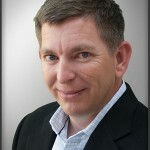 – Robert Attridge, Co-Host of SmallBiz Brainiac podcast.